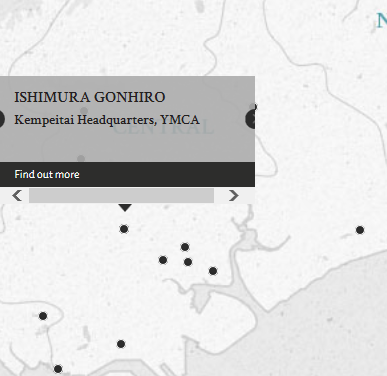 The defendant, Sergeant Ishimura Gonhiro, was accused of ill-treating three civilian residents of Singapore at the YMCA Building, which was the headquarters for the Singapore branch of the Japanese Kempeitai. Ishimura was part of the Japanese military police who had arrested the three residents for perpetuating pro-British ideas by spreading rumours and undesirable talk. They were interrogated and tortured with water treament before being released, allegedly by Ishimura, who denied interrogating any of the prisoners. Water treatment involved waterboarding the victims by tying their hands to a bamboo pole before covering the victims' faces with a towl and pouring water over it. Ishimura insisted that he only handled office work, but was ultimately found guilty and sentenced to 4 years' imprisonment. Japanese "water treatment" was a common tool used for torture interrogation. This often involved tying the victim's hands to a bamboo pole or some kind of steady apparatus before covering the victim's face with a towel and pouring water over it. In this particular case, the Japanese Kempeitai soldiers performed water treatment on several of the victims and in one case, even drove a nail through the victim's left hand. Ishimura, Gonhiro. Sergeant. From Japanese military. From Japan. Guilty except the words "which illtreatment resulted in the death of W. D. Dally". 4 years' imprisonment. Sentence confirmed. Sahay, S.B. Major. From British Indian Army. LL.B. Advocate in India. Khan, T.A. Captain. From British Indian Army. Khan, M.A. Major. From British Indian Army. Araki, Tatsuo. Judge of the Nagoya District Court, Japan. Reichenbaum. Captain. From British military.